At Floreat Chiropractic, we offer a warm and friendly environment along with individual, efficient and effective treatment. 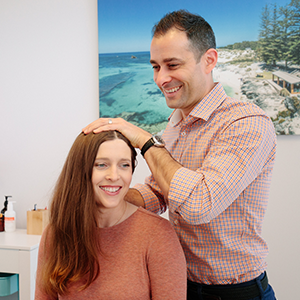 Chiropractors Dr Patrick Pugliese and Dr Olivia Goodger will take all the time necessary to understand your concerns and what is holding you back from living the way you’d like to. Along with chiropractic care, our team provides dry needling and remedial massage.